Cinnamon Tiger: Coming up: Spartacus: Blood and Sand Behind the Scenes! 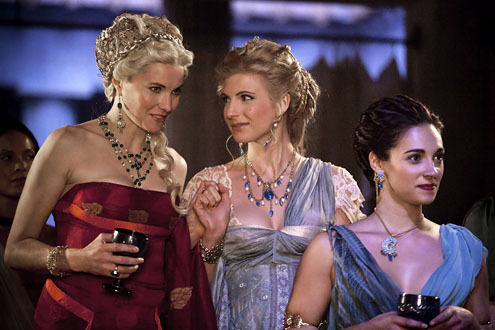 Coming up: Spartacus: Blood and Sand Behind the Scenes! Like the rest of us die-hard Spartacus fans out there, I'm at a loss with what to do on my Friday nights now that season 1 has ended. It wasn't just the glued-to-your-couch plot twists and action that sucked me in, it's also the style. Every episode seems to have outdone the last in some way, and as with the rest of the show they really payed attention to detail and what would have been used at the time. In the next few weeks or so, I'll be pulling together a comprehensive guide on how to recreate the Roman/Spartacus make-up guide for the rest of us. I've been sending off some e-mails to try and get an interview with the cosmetics department, and doing a whole lot of independent research as well. There's a possibility I might break it up into different "episodes" for each character so I can include some of the exquisite costumes and be able to go more in-depth with each woman. I keep bouncing back and forth over whether I want to get ballsy and send some e-mails requesting small interviews from some of the actresses...Please let me know if this is something you would be interested in! BTW, that's Lucy Lawless (Xena) as Lucretia! I think it'll be a lot of fun, and it'll bide my time until season 2! What would you like to see as part of this how-to series? 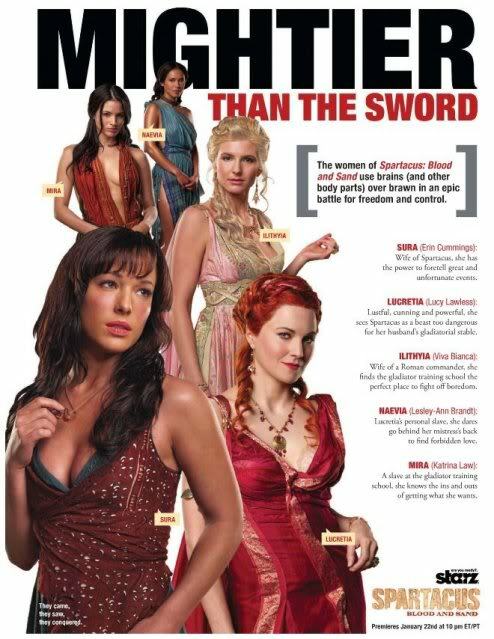 Posted by Christienne at 12:54 PM | Labels: beauty news, How-To, Spartacus | Estou lendo: Coming up: Spartacus: Blood and Sand Behind the Scenes!Tweet this! | Assine o Feed.